I’ve been running around like a madman the past week. I looked at my first post on this project – it was less than three weeks ago. I’m going to have completed an entire vehicle mutation within a single month. It’s a blur of hardware store runs, try power tools and raw material. Fencing worried me the worst. If there’s to be a cloud deck, I need something to keep the happy people from plunging off of it. A contractor promised to drop off some recycled fence railing, gratis – and then he welched. Fresh metal was going to cost at least $300 (yes, as a matter of fact, we are on a budget.) so that wouldn’t work. high, with a top rail of at least 1″ thickness (round or square). buried among your construction debris. 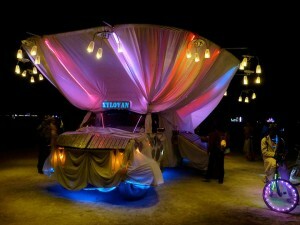 an art car I”m building – need to secure this in next 2 weeks! Thanks! And lo and behold I got a call the next day. From a Burner. Having just given birth a few months ago, she was resigned to skipping the Burn this year. 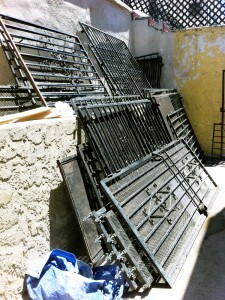 But she had a whole slew of steel security bars that she just had taken off a building she’s renovating – and offered them up for free. 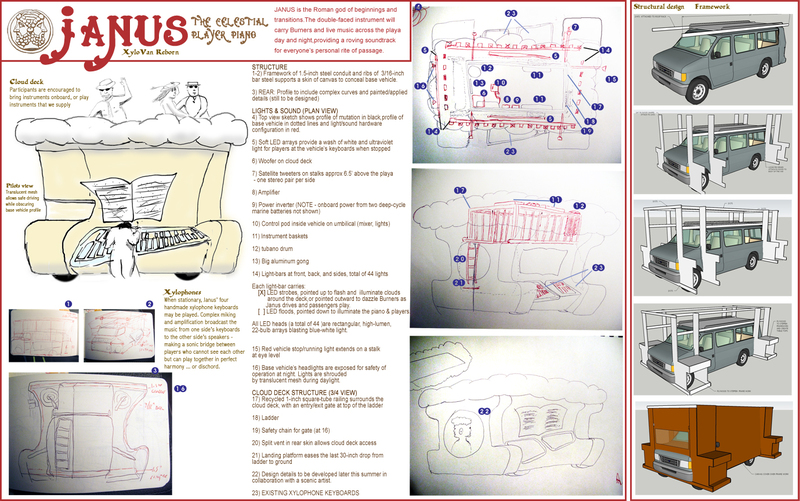 This entry was posted on Friday, July 22nd, 2011 at 9:28 pmand is filed under . You can follow any responses to this entry through the RSS 2.0 feed. You can skip to the end and leave a response. Pinging is currently not allowed.